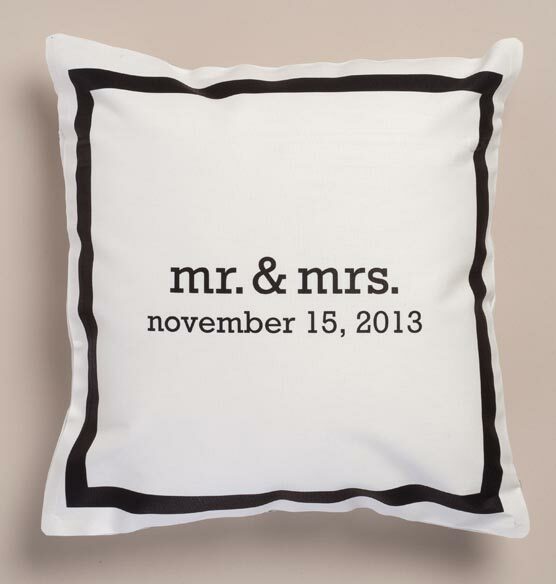 Celebrate happily ever after with a personalized pillow commemorating the day you both said "I do". Black accents give a classy yet modern vibe. The perfect accent for a bed or settee, this personalized Mr and Mrs pillow would make a thoughtful wedding or anniversary gift for the happy couple. The bridal couple loved it! The bridal couple was delighted to get a personalized pillow and are proudly displaying it in their new home. The bride to be was so excited when she opened this at her shower! She LOVED it!! 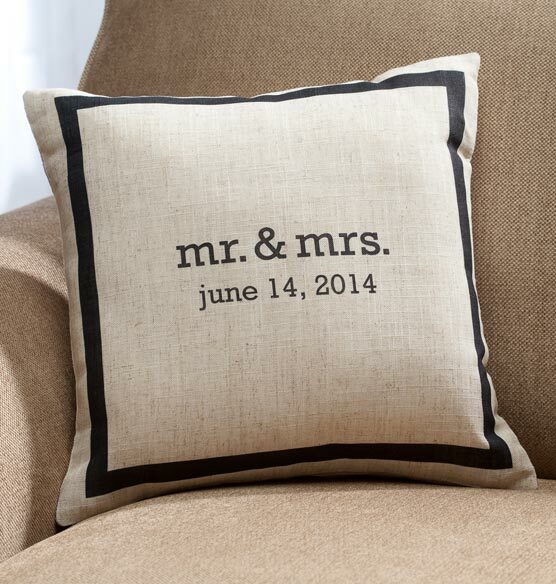 Great looking pillow and the memorable date for a new couple . It will be the perfect accent in my daughter and new son-in-law's home. I love the classic, tailored look. I've been eyeing it for awhile. Now that it's on sale, I decided to get it for my daughter and son-in-law. I missed ordering something on the registry. We were unable to attend the wedding, so I thought something personalized would be well received. This is simple and elegant. I would have loved to have this, so I thought they would too! BEST ANSWER: Thank you for your question. The pillow measures 14" x 14". We hope this information will be of help to you.